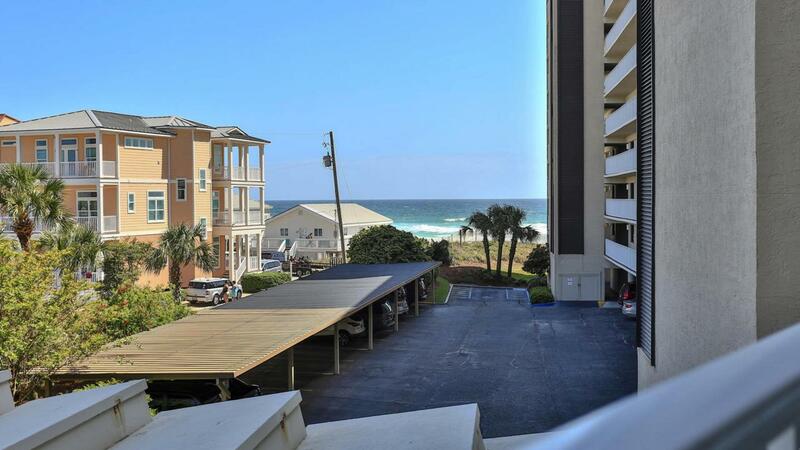 2BR & 2BA GULF FRONT Condo in Miramar Beach!... 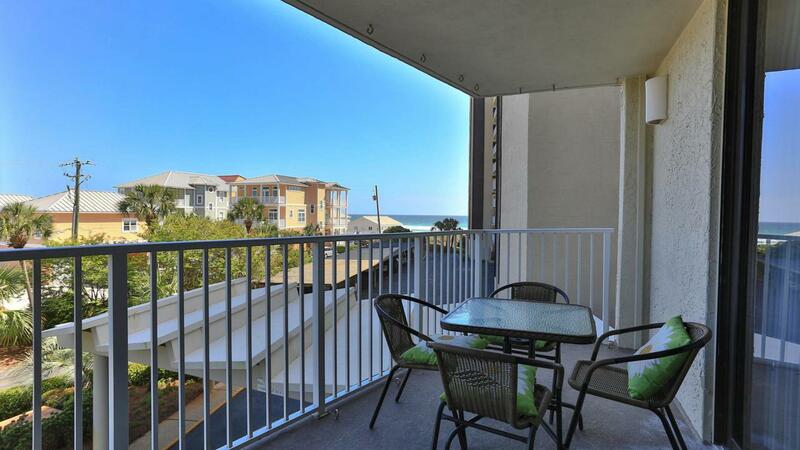 1,208 SF unit with amazing views of the Gulf & Pool Area. 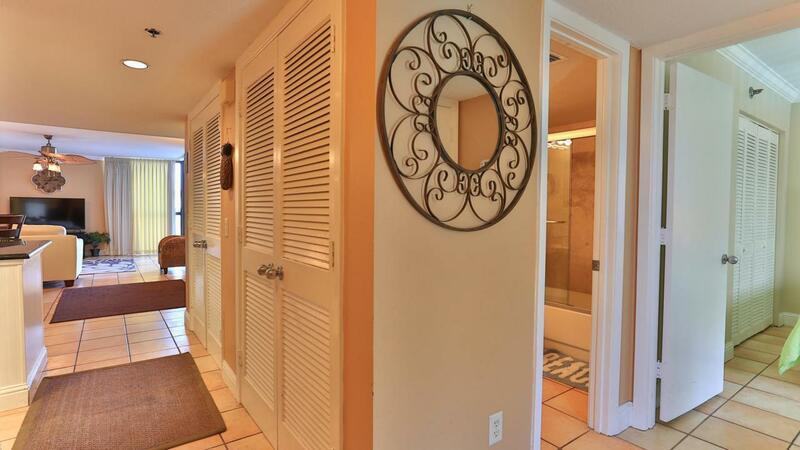 This condo features tile floors throughout, crown molding & a large opened living area. The living space has a wet bar, dining area & balcony access. The kitchen features wood cabinets, granite countertops, stainless steel appliances, breakfast bar & a utility closet with full washer/dryer. 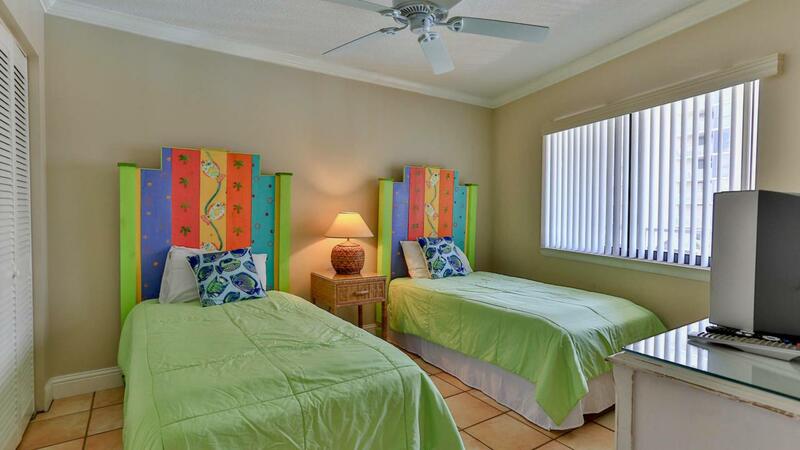 The master suite has tile floors, balcony access, a large bathroom & vanity area, and spacious closet. Enjoy all of Mainsails amenities including PRIVATE/deeded beach access, two pools, hot tub, tennis courts, and gym. Perfect as a beach rental or full-time residence. Next to Silver Sands outlet mall and tons of eateries and shopping near by! Listing courtesy of Sandcastle Escapes Realty.